At GroundWork Counseling in Orlando, we provide Cognitive Behavioral Therapy to children ages 7+. Children and families often face challenging times throughout the developmental stages, and at GroundWork our Orlando-based child therapists and counselors are here to help. If your child is struggling with peer relationships, is experiencing challenges transitioning into a new school or grade, or is showing symptoms of anxiety, depression or anger, Cognitive Behavioral Therapy (CBT) can be a highly effective way for your child to find solutions. 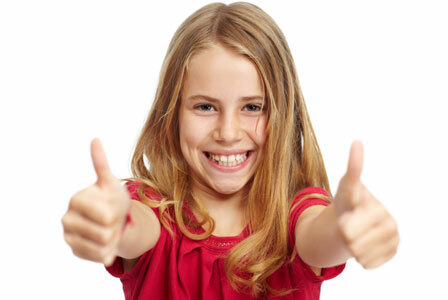 Utilizing a supportive, evidenced-based treatment approach, your child will work individually with a counselor who will help them process their challenging situation, identify unhelpful thought patterns and actions, while encouraging your child to find alternative, more balanced ways of thinking, while simultaneously increasing healthy coping and communication skills and improving resiliency. Child counselors often incorporate structured activities and games, making counseling fun and interactive, but most of all, helpful. Child cognitive behavioral therapists at GroundWork believe that it is essential for children to take what they learn during a counseling session into their daily life, and often will assign various homework activities between sessions to help children implement positive change at home. At GroundWork Counseling, we specialize in working with children struggling with OCD, Separation Anxiety Disorder, Social Anxiety, School Refusal, Specific Phobias, Panic Attacks, and Generalized Anxiety Disorder. Because the main feature that keeps anxiety going is avoidance of a feared situation, our therapists help your child to challenge this avoidance with a step-by-step method that gradually exposes them to the situation or thing they fear, helping your child to grow in confidence each time. Child counselors at Groundwork also work with children struggling with ADHD, Depression, Defiance, Anger, Self-Harm, and Behavioral Issues. If behavior challenges are occurring at home, our counselors can also support families by helping parents implement behavior plans to help facilitate positive change at home; motivating children to change previous unhelpful behavior patterns, and while also encouraging children to utilize new skills developed in counseling sessions. At GroundWork Counseling in Orlando, our skilled and caring therapists can help your child to change the way they view themselves and the world. By utilizing activities and a specialized approach, our counselors help your child try new ways of thinking and behaving, while making the sessions fun and enjoyable for children.